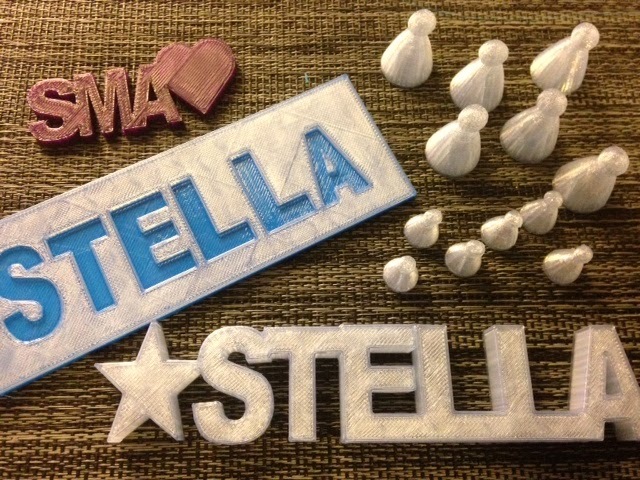 Day 160 - Stella prints! This is what happens on the first day that an 11-year-old girl and an 8-year-old girl learn how to design 3D models. The first day! I look forward to the next generation of grrl power makers! Settings: MakerWare .3mm/low. Thank you S&S for the guest prints today!